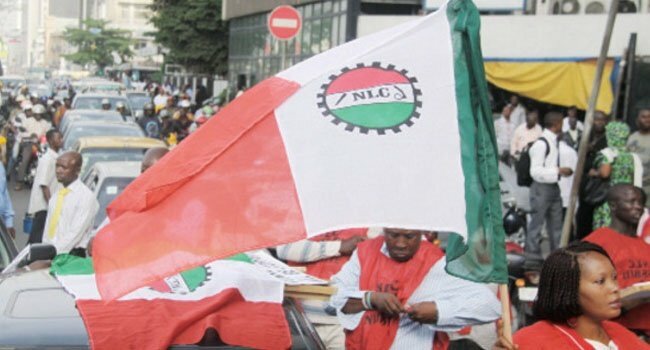 "The industrial action would become necessary if organised labour’s demand to reconvene the tripartite committee on the national minimum wage for workers was not met"
Barring any last minute intervention, the Nigeria Labour Congress (NLC) has said it will commence an indefinite nationwide strike. The body said the strike will take effect after the expiration of the 14-day ultimatum given to the federal government which will elapse on September 26. The union had earlier said the ultimatum will officially commence on September 12. Ayuba Wabba, NLC president, said this while addressing journalists at the end of the National Executive Council (NEC) meeting of the congress on Wednesday in Abuja. Wabba said the industrial action would become necessary if organised labour’s demand to reconvene the tripartite committee on the national minimum wage for workers was not met. “NEC has resolved that at the expiration of the 14 days industrial action notice issued to the federal government over the new minimum wage issue and if the demand of the organised labour was not met, we will embark on strike,” the president said. The union insists the committee concludes its work within the stipulated time frame. “NEC expresses serious concern at the unilateral adjournment of the negotiation of the new minimum wage by the Federal Government on the day the tripartite committee was expected to complete its assignment,” he said.